I loved Danielle’s presentation yesterday! Did you? I was also super inspired by the healthy eating presentation by Katie Kimball on Day 1. We might be asking grandparents to gift her kitchen class for kids web series for Christmas. It looks so good, and purposeful presents. That’s the Christmas theme this year – purposeful presents. I hope you’ve been enjoying the conference. If you’re just hearing about it, no worries! Today is only Day 3 of 5, plus a bonus Day 6 of encores of the presentations. And it’s totally free! Seriously, go check it out. If you wanted to hear more about what I thought about Danielle’s presentation, head on over to CatholicMom.com where it posted yesterday. Also, if you are loving this who experience, there is a way for you to keep the spirit alive. 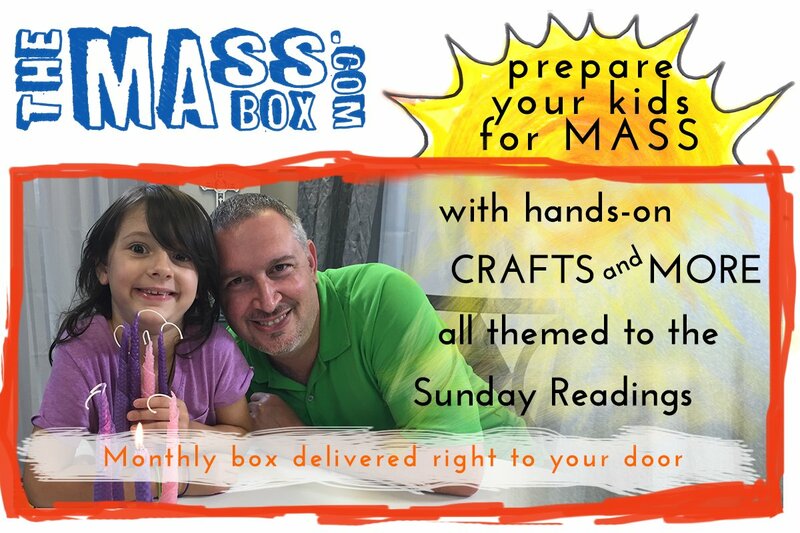 Catholic Mosaic, the organization who puts this conference on, has a special M4M (More 4 Mom) package that you can purchase. You get all the presentations to download, so you can watch them anytime, anywhere. Also included is a discussion guide for all the presentations. Looking for a new study for your Moms group? Trying to get a way to engage parents during your Religious Education classes? Need something quick and easy for Advent this year? The applications are endless! If that wasn’t enough, you also will receive ebooks, inspirational prints, coloring pages and so much more! When you add it all up, it’s about $150 worth of stuff, which is incredible! The presentations, plus the bonus material, is only $30. It is a great price for such a wealth of information, resources and encouragement. Check out here for the full list and details. Also, as an affiliate of the conference, if you use my links listed here I will receive a small kickback as thanks for sending you there. My big takeaway yesterday came from Colleen Duggan’s Love in the Family presentation where she challenged everyone to consider how often during the day they thought about themselves. How often am I thinking about what I want to do, how easy or hard this moment is for me, when will I be done, ect. There’s some deep thinking and praying in this for me, I’ll probably be blogging about it soon. Enjoy the conference! And check out the More 4 Mom package! Hey everyone! I intended to get this awesome info in your hands last week, but the week (and Eliza’s mysterious fever) got the best of me. So here we are, the day before this exciting opportunity which starts TOMORROW! The Catholic Conference for Moms is an online conference that is totally, completely and 100% FREE for anyone who signs up. This conference is so great. This year, the conference theme is Pass It On, thinking specifically about what we pass on to our children. What things do we want to pack in their proverbial life backpacks. Speakers from all over the country and walks of life share a bit about what the essentials for a well stocked life backpack would be. Each day 3 new presentations are available, but you can still see the ones you may have missed from the previous day. The presentations are simple videos of the person talking and are perfect to listen to while folding laundry, stirring a pot of soup, or sitting quietly with your cup of morning coffee (you might even be able to take a note or two). And you always have the handy dandy pause button to back you up when life happens. There are already thousands of moms, and parents in general, who have signed up for this conference. It is a worthwhile way to spend your week, especially as we are all looking forward to the holidays. What is truly important in our family? What are the lessons my own attitude is teaching my children? How can our family grow in holiness these last months of the year? What are the areas we are succeeding in helping our children lead happy, holy lives? What are the areas we need to concentrate on? This conference is an opportunity to rest and rejuvenate yourself spiritually, especially within the context of your vocation as a parent. I cannot encourage you enough to sign up. I’ll be posting again in a few days about Danielle Bean’s presentation “Love of Learning” which I got to preview ahead of time – it’s so good! My review will be here as well as on Catholicmom.com where you can join in discussions all week long about the conference.